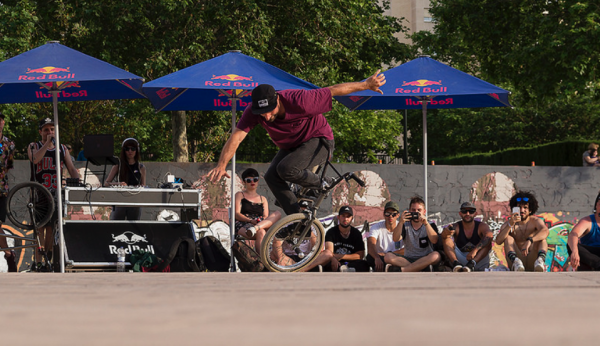 On the 2nd June was held the Flat & Wind Contest in Zaragoza. 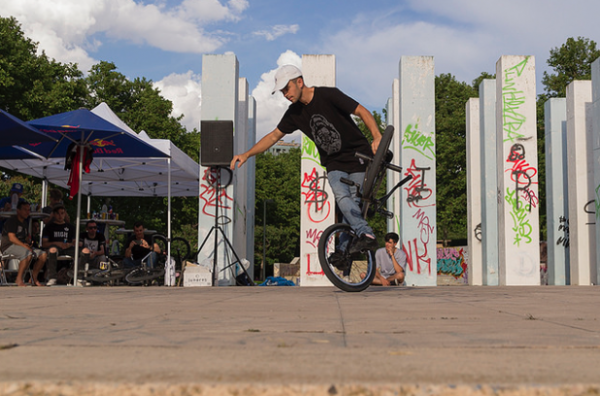 Actually it was the 25th anniversary from the very first Bmx Contest in this City. 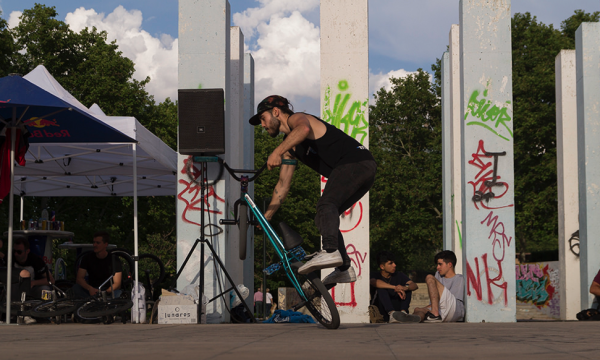 Zaragoza is probably the most Hip-hop culture influenced city in Spain, and Bmx has some connection with it. The contest was organized by Alejandro Encinas a.k.a. Neuma. The day before the contest we did a Jam at the spot in wich a lot of riders showed up! The day of the contest was great. Around 30 riders from 7 different countries came to ride and have fun. There were Amateur and Pro Class. In both 8 riders made it to the finals. We started of with the amateur Class. Pino, from Costa Rica, now living in Barcelona, killed it with crazy smooth style and took the victory on the Amateur Class. Followed by Sergio Romo and Istom Rojas. Pro Class had battle format in the finals which gave a lot of intensity to the contest! Miguel Tardío took the victory with great technique and style against Iñigo Arroyo who showed up with crazy hard new tricks! It was an amazing weekend and we can not wait for next year. We invite everyone to come for a family and hip-hop vibe contest! Thanks so much for this Neuma!